I know of a few kinds of snooker break-offs. The position of the white at the end of the shot, anything behind the baulk is okay for starters. The first break off listed here is one which will get you started and will leave your opponent with an “OK” safety. 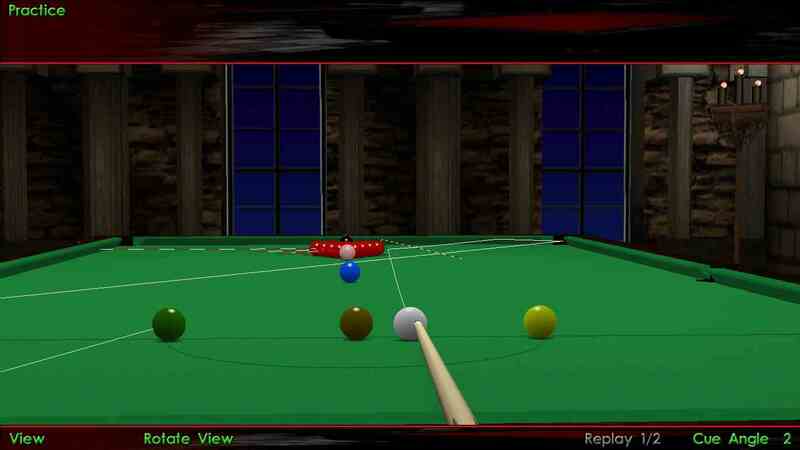 Great for starters, as most people just try to hit the frame and then end up hitting the blue or reds nearby. You can check out the others as well if you want to master the break off shot !!! In the beginner’s break, the basic idea is to hit the top cushion (the one behind the black), then the long right cushion, and finally try to come close to the bottom cushion (the one behind the baulk colors), and preferably (at least initially) through the baulk colors. Practice this on the table for sometime. You might hit the yellow, green or brown, but don’t worry. That is good if you are learning. You will get an idea of the white ball path. Also, notice where the white ball hits the top cushion in each shot. Check out this, and other breaks in the sections below. Power is denoted on a scale of 1-10. Contact point on Object Ball (OB) : Just a little thinner than half ball on the nearest corner red in the pack. 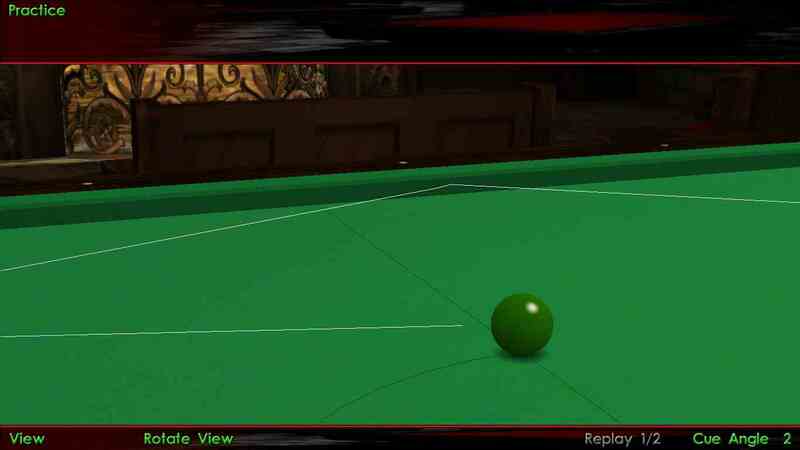 Hit thicker if you want the CB to contact the top cushion nearer to the corner pocket. Hit thinner to land nearer to the black. Initial Cue-ball (CB) position : At the center of the line joining brown and yellow. If you move it closer to the brown, it will hit the top cushion closer to the pocket . If you move closer to the yellow, it will hit the top cushion closer to the black. the pack. Initially, don’t use any english. 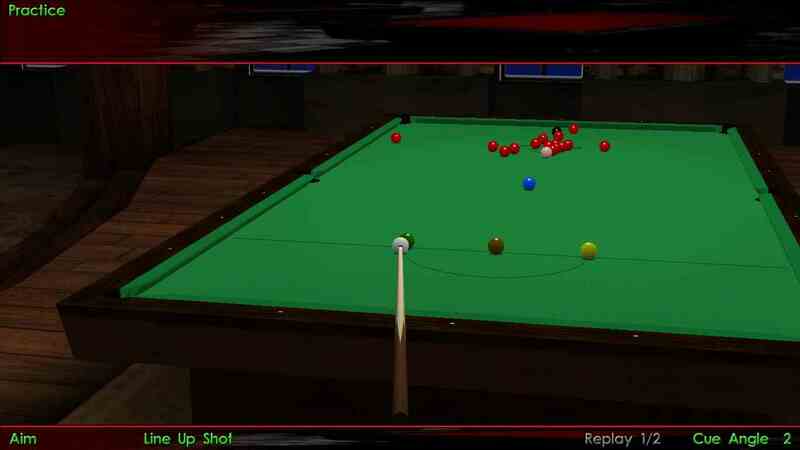 This is a simple break, start with this if you have just started playing snooker. Here, you will notice that no side-spin is used. I will try to make two important points for beginners. 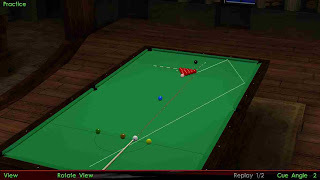 If you give right hand english, it will cause the cue ball to turn more right after it hits the first cushion (the top right cushion), and as a result hit the second cushion (the far side cushion) nearer to the corner pocket. Notice in the picture above, after hitting the second cushion, the white comes between the brown and yellow and reach the bottom cushion, behind the brown . 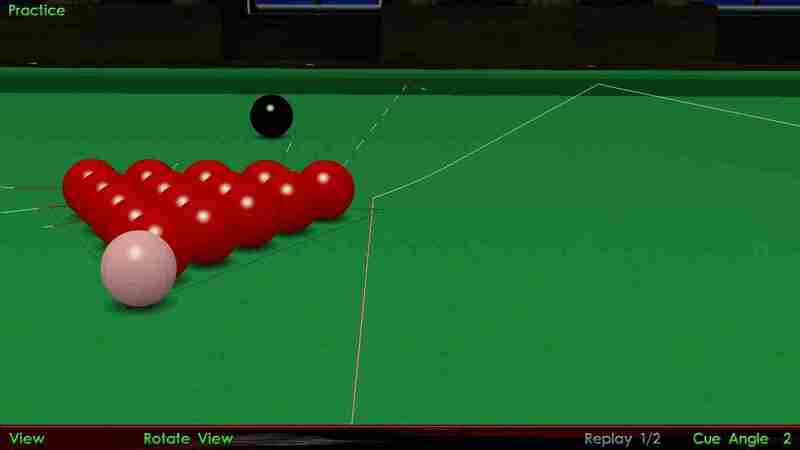 If hit with right english, the white can very well come between the green and brown before reaching the bottom cushion, preferably behind the green. If you hit it with left hand english, you can come from the right side of yellow, and reach the bottom cushion behind it. Instead of giving right side-spin, you can hit the OB thicker, or even move it closer to the brown. Instead of giving left side-spin, you can hit the OB thinner, or even move it closer to the yellow. You can combine all these factors to produce the optimum effect. For example, place the CB near the yellow, give it a little right english, and hit it around 1/4th on the OB, to come from the right side of the yellow to behind it, sticking on the bottom cushion. Try other combinations to get a more firm hold on this kind of break shot. half ball and quarter ball. Initial CB position : between yellow and brown or green and brown, more towards brown in both. This amazing way to break is preferred by most of the professionals, of what I’ve seen. Once you are good with the simple first break, you can move on to this one. 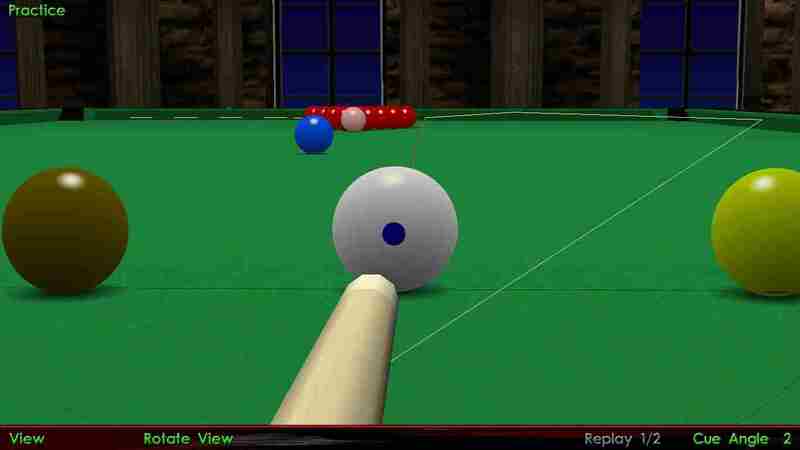 In this break, you will notice that you have to give extreme right english to make the white ball travel behind the blue, try to miss the pocket, even hit it before the baulk line (as shown in the picture below), and eventually end up behind the green or even the brown. Another red to look out for would be the one which has ended between the blue and pink, nearer to the right side cushion. Don’t let it come much towards the baulk. If it is anywhere between the blue and the baulk colors, you might end up in trouble. 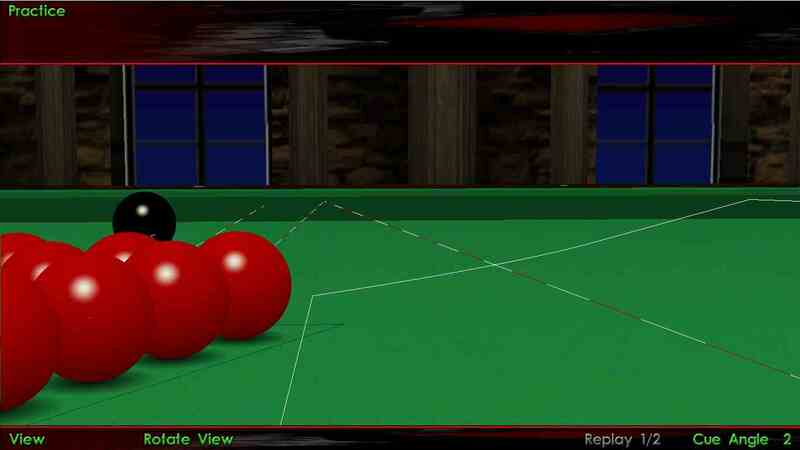 If that red reaches behind the baulk, it will be even easier for your opponent to start his or her break. And that would be a bad snooker break. Another thing to watch out for would of course be the final position of the white ball. Either let it go behind baulk and just reach the bottom cushion, or let it roll just behind green or probably even brown after it has hit the bottom cushion. A thing to consider here would be to cannon the green or brown ever so softly, if at all. You can choose to either land as close to the bottom cushion as possible or behind one of the baulk colors, after hitting the bottom cushion, if you want this break to be perfect. your opponent with a very difficult first red. 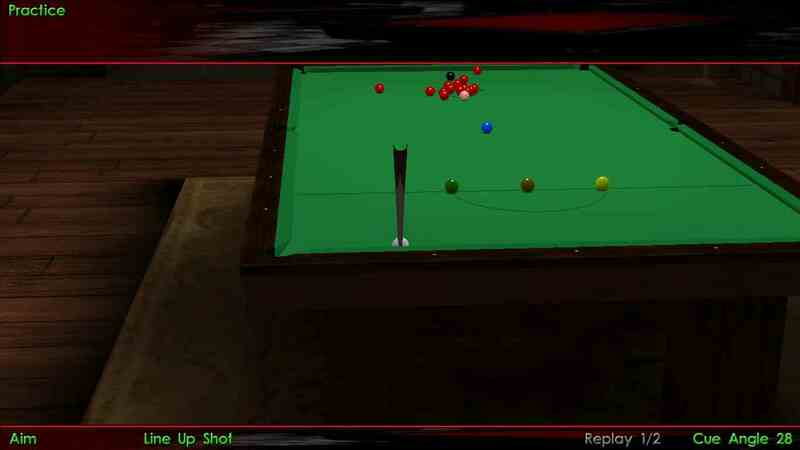 You can play this break off shot by striking the object ball a little thinner to ensure that only a few reds scatter. 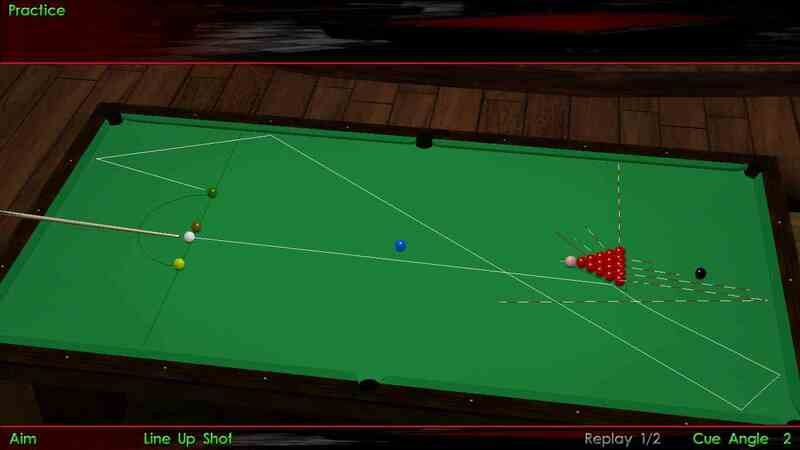 Keep in mind that you would have to give extra side spin, and maybe even initially place the cue ball as close to the brown as possible to ensure that it contacts the top cushion a little nearer to the pocket.